The WARDJet SmartRemove, a waterjet abrasive removal system, is the simplest and most effective abrasive removal system for your waterjet cutting machine. 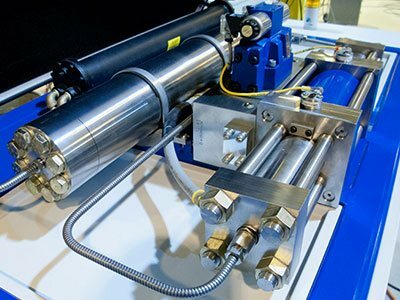 All the SmartRemove needs to run is a compressed air hose! 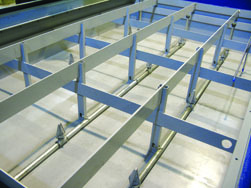 It's compact, easy to use, has an extremely small foot print, and ships on a standard pallet right to your door. 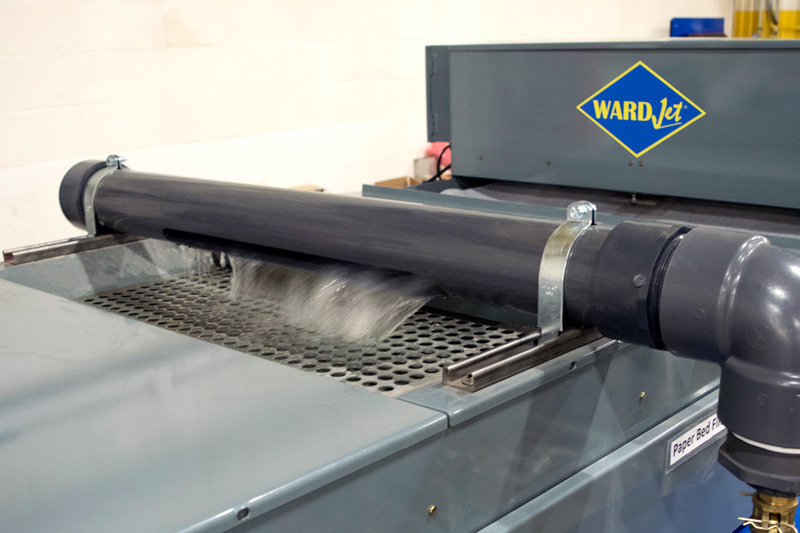 Use the WARDJet SmartRemove to easily remove abrasive in a cost-effective way from ANY waterjet tank. 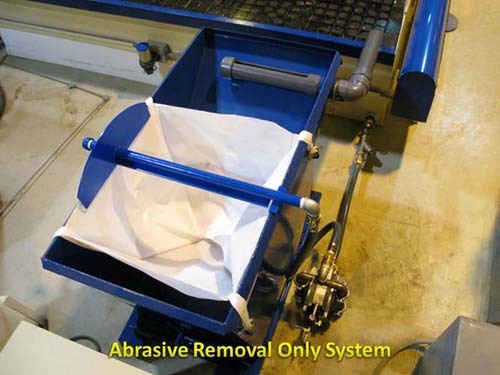 The WARDJet Abrasive Removal Only System removes abrasive and kerf material from the tank by pumping out and depositing abrasive into a reusable abrasive bag inside a storage hopper. 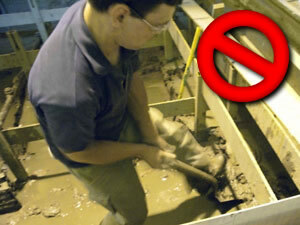 As with all removal-only systems, drops will not be removed. 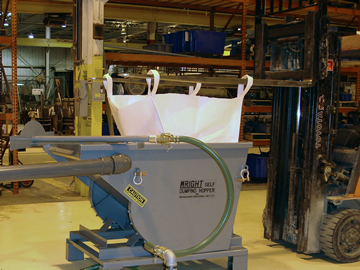 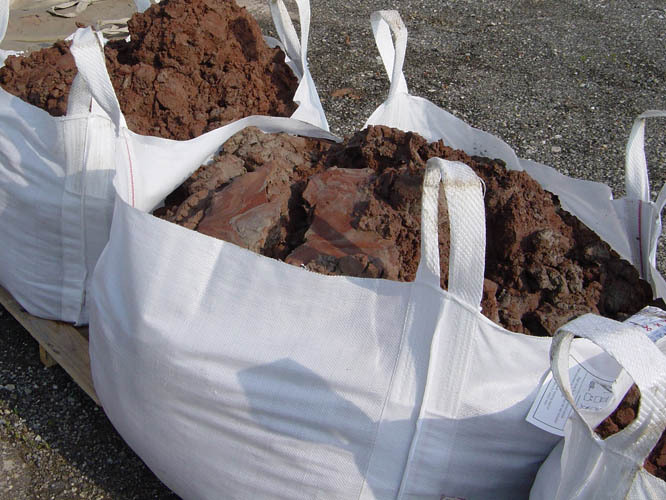 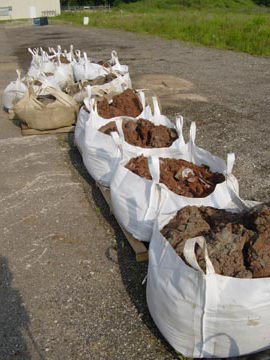 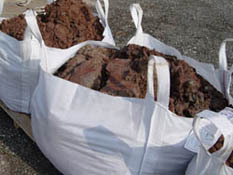 With our abrasive recycling system you could be recycling and reusing your abrasive. 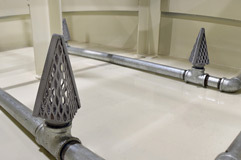 This option is a great choice to dramatically reduce the amount of shoveling and associated downtime required to empty your tank. 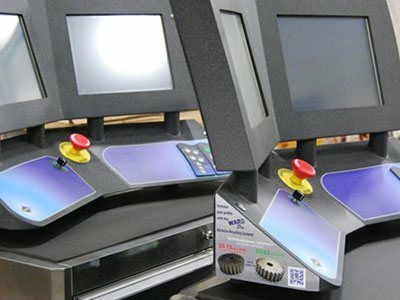 The SmartRemove is one of our more popular accessories, and if not initially purchased with your machine, it will likely be at the top of the list once you have shoveled out your tank a few times! 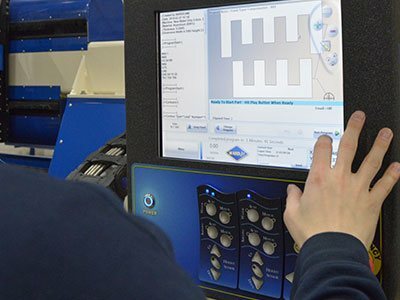 The SmartRemove can be easily installed in most any waterjet tank with our clear and easy to follow installation help guide, photos and videos. The SmartRemove is affordable. 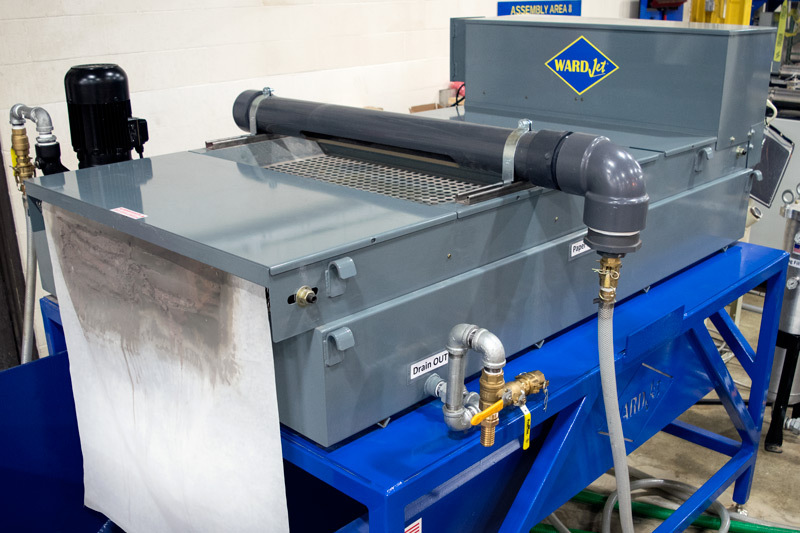 With financing options as low as $199* per month, the SmartRemove comes with everything you need to start removing the sludge from the bottom of your tank. 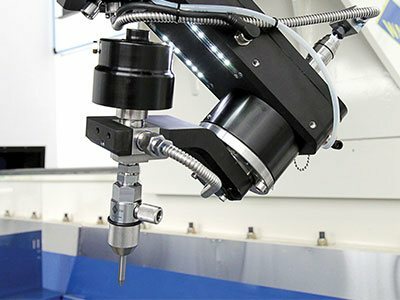 This can pay for itself since you may not need to pay to have your abrasive removed by hand anymore, drastically reducing the downtime of your machine. 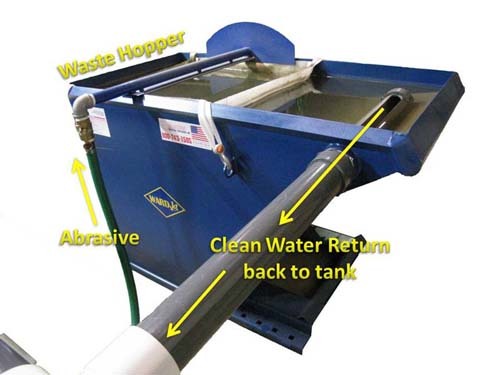 Generate income and remove your abrasive from your tank while the SmartRemove does all the work! 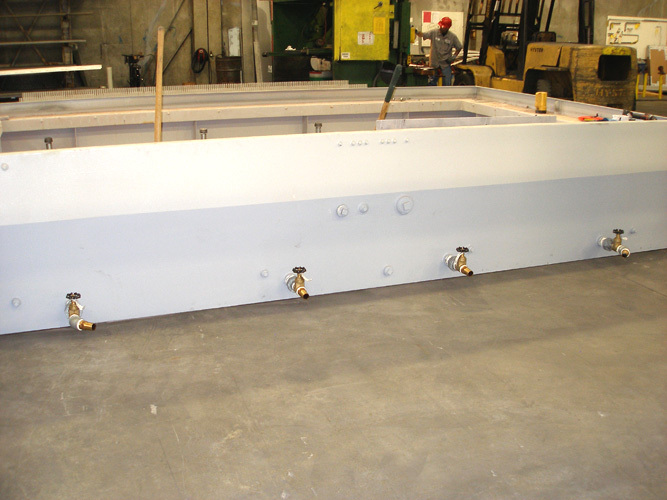 Here is an example of the WARDJet SmartRemove plumbing in the tank of another OEM’s waterjet tank. 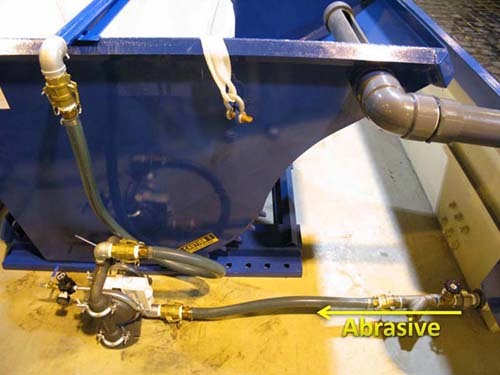 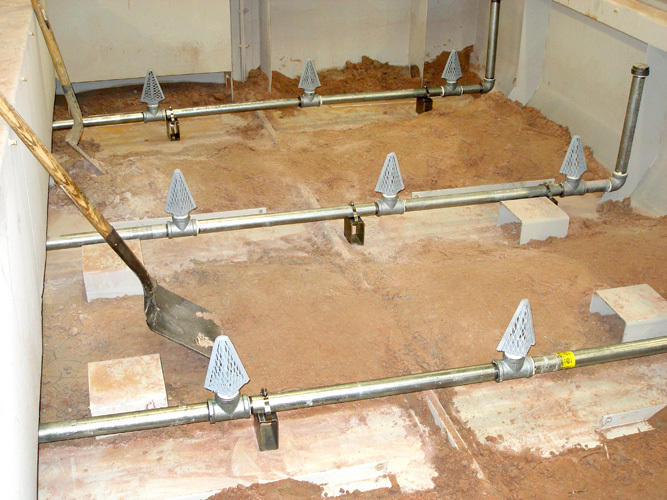 If you have been running your waterjet without an abrasive removal system, or have one that doesn't work very well, you will have to dig out your tank one more time to install the SmartRemove (Abrasive Removal Only System). 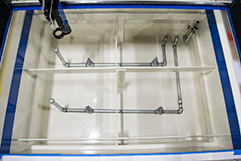 At least one flange near the bottom of the tank is required for the plumbing to exit the tank. 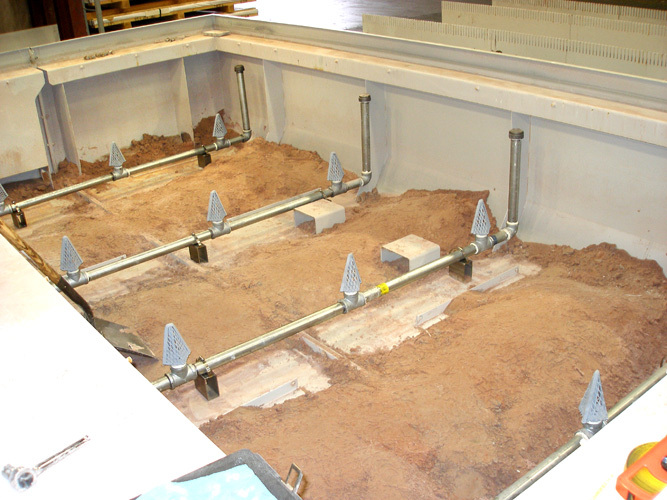 The Paper Bed Filter is a great solution for removing fines and particles from your waterjet waste water. 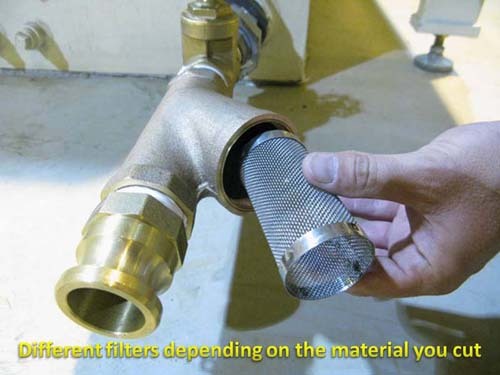 Filter water from either your abrasive or water-only waterjet and remove abrasive, foam, plastic, plastic brick, composites, carbon fiber, and practically anything that floats. 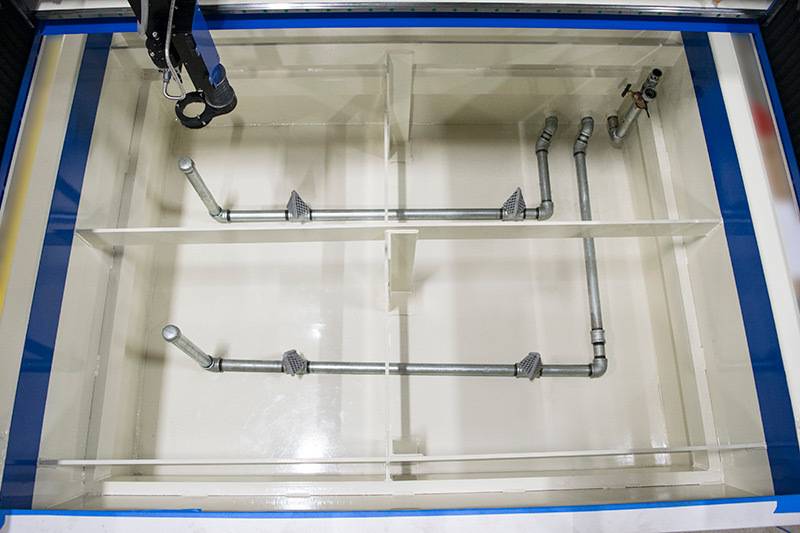 When used in conjunction with our SmartCycle water recycling system you get crystal clear water that can be reused in a closed loop with your waterjet. 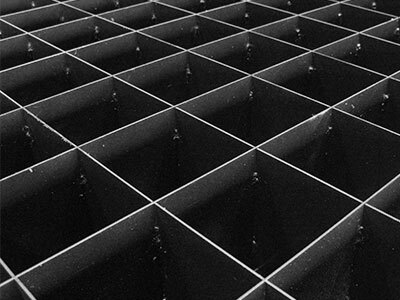 The Paper Bed Filter automatically rolls the waste paper out only when it is full. This reduces the waste cost of the paper media. 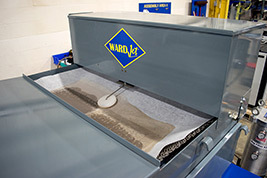 Filtering through the Paper Bed Filter also increases filter life on the SmartCycle.